DriveArchive - Articles - Motoring - Where Did it All Go Wrong? Motoring - Where Did it All Go Wrong? I was having a bit of a reminisce about motoring with a friend the other day, and it struck me as we spoke that though we could easily be accused of being grumpy old men whinging, the fact of the matter if that driving in Britain today is not all that much fun compared with 'the good old days'. Which is a great pity isn't it, and frankly it's only going to get worse. I was brought up near Stafford in the Midlands and can just about remember when there were fields stretching off into the distance near our house. Then one day massive diggers swarmed over these fields and the next thing you knew there was a six lane motorway within an easy stroll of our house. Initially that didn't really matter all that much. My dad used to take me for a walk to the motorway, the M6 of course, and we'd climb to the top of the pedestrian bridge they had built to maintain a right of way across the fields. And we'd wait for a car to come down the road. We'd wave at it, the driver would wave back and he would disappear into the distance. And we'd wait for another one. You can still stand on that same footbridge now, though if you did you'd be deafened by noise, gassed by fumes and you'd witness 6 lanes of metal moving in both directions with barely a break between them. All day, every day. In fact even by the time I had grown up and learned to drive the motorway had still not become the monster it is today. Coincidentally my friend and I were both telling each other stories of driving along the M6 at, well, let's be careful here, somewhat unnecessary speeds in our sports cars, easily possible because there was no one else about at the time. That would be rather tricky today... maybe for the best. 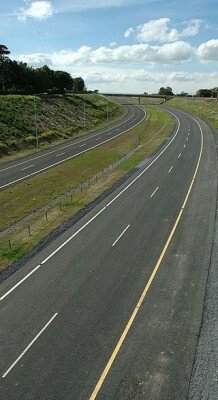 Leaving motorways behind, 'A' roads - cars used to fit on them easily, now not so much. Cars back in the day were a lot smaller. And I don't just mean Minis. You look at an E-type Jag - it's small in comparison to the equivalent today. Back in those times there was room for cars and cyclists to co-exist. I was one of those cyclists. I'm not convinced I'd be one today. I'm not entirely sure I know just what people these days are putting in their cars on their commute that demands a whopping great SUV, or indeed really even a Ford Focus type of car - they are such great big lumps. So, I know I'm stating the obvious, but there's way too many cars on the road now. Way too many. So driving has become a drudge. And every time I venture out it seems that speed limits have dropped and speed cameras abound, it's just miserable. You have to seek out a glorious driving experience now, it's not just going to happen on the way to work is it? I've experienced two such joyous moments recently, but you will have to travel to find them. One was to head for Scotland and drive from Fort William to the Isle of Skye, passing the Five Sisters of Kintail - an absolutely monumental stretch of road. Another suggestion for glorious driving this time in North Wales is from Betwys Y Coed to Blaenau Ffestiniog. I'm sure we can all name some routes that are fun to drive. But they're getting, literally, fewer and farther between. So... cars are great but roads are not. Well I say roads, it's traffic isn't it? Not the roads. Oh hang on, it IS the roads, they're full of bloomin' great holes. We've got to get that sorted out haven't we? And the roads are too narrow. And I don't really think that 'Smart Motorways' are the answer, that's a dumb answer to the poor infrastructure problem, isn't it? You've got four lanes of traffic all going at 70mph and a warning light comes on you dash... where the hell are you meant to go? Just exactly which bit of a Smart Motorway is smart? Enough moaning. Unless you can win a fortune and retire somewhere exotic (you could try this great site to do so!) we are stuck with what we've got. All over the country there are thousands and thousands of motoring enthusiasts who love their cars and love their driving. They are probably prepared to put in the effort to reach those glorious stretches of road and they will no doubt be appreciative of the times they can sweep majestically down them in their coveted cars. And they'll store up tales to tell their grandkids of how they once went from one end of the country to the other with just a few refueling stops, and their gandkids will look at them in disgust because all that did was wreck the planet's atmosphere, you can't win that one. But how much fun we had!